HARPERS FERRY, W.Va. (AP) — A fire has devastated the commercial area in the historic town of Harpers Ferry, destroying some buildings that were constructed in the 1800s. 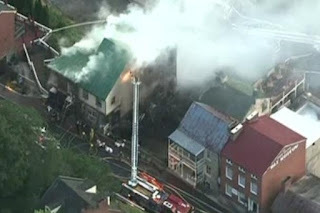 Harpers Ferry Mayor Gregory Vaughn said the early morning fire Thursday destroyed seven to eight businesses housed in one building. An adjacent restaurant sustained substantial damage. No one was injured. The cause hasn't been determined. 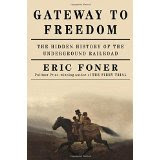 Gateway To Freedom: The Hidden History of the Underground Railroad, Eric Foner, W.W.Norton Publishing, 302 pp., 3 maps, 33b/w illustrations, end notes, bibliography, index, $26.95. The focus of Gateway To Freedom is on the route of the UGRR from the Mid-Atlantic border states through Philadelphia, New York City, upper central and western New York and into Canada. The subtitle is "The Hidden History of the Underground Railroad." The front cover and the blurbs on the back cover do not mention that the story is an East Coast centric one with a concentration on NYC. Yet, if you are looking for a general overview of the topic, this work will suffice. Foner vividly reveals the process of how the Underground Railroad worked. In general, his description of the process may be transferred to other urban environments. Pluses for the book include the first chapter which outlines the historiography of the Underground Railroad from the very first participants' accounts through the current era. Also, Sydney Howard Gay's detailed record of slaves passing through NYC is integrated with other UGRR operators accounts from Delaware, Baltimore, Philadelphia, and Syracuse. Foner is successful in tracing the paths of runaway slaves who left Maryland, Delaware and Virginia and finished the journey in Canada. \On two maps related to the Mid-Atlantic states Chambersburg, York and Harrisburg Pennsylvania are cited as UGRR sites. Gettysburg and Adams County Pennsylvania are not. New and Noteworthy---Engineering Victory at Vicksburg: Shovels or Starvation? 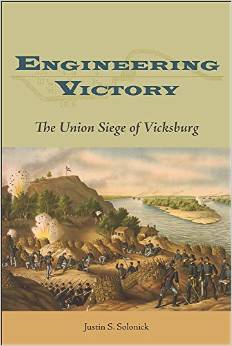 Engineering Victory: The Union Siege of Vicksburg, Justin S. Solonick, Southern Illinois University Press, 289 pp., 23 illustrations, 4 maps, 9 diagrams and figures, 1 table, 1 appendix, glossary, bibliographic essay, bibliography, end notes, index, $37.50. From the Publisher: On May 25, 1863, after driving the Confederate army into defensive lines surrounding Vicksburg, Mississippi, Union major general Ulysses S. Grant and his Army of the Tennessee laid siege to the fortress city. With no reinforcements and dwindling supplies, the Army of Vicksburg finally surrendered on July 4, yielding command of the Mississippi River to Union forces and effectively severing the Confederacy. In this illuminating volume, Justin S. Solonick offers the first detailed study of how Grant’s midwesterners serving in the Army of the Tennessee engineered the siege of Vicksburg, placing the event within the broader context of U.S. and European military history and nineteenth-century applied science in trench warfare and field fortifications. In doing so, he shatters the Lost Cause myth that Vicksburg’s Confederate garrison surrendered due to lack of provisions. Instead of being starved out, Solonick explains, the Confederates were dug out. 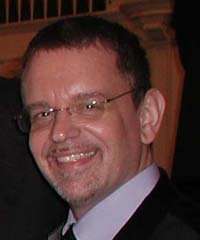 Justin S. Solonick, PhD, is an adjunct instructor in the Department of History and Geography at Texas Christian University. His most recent publication, “Saving the Army of Tennessee: The Confederate Rear Guard at Ringgold Gap,” appeared in The Chattanooga Campaign, published by SIU Press in 2012. CWL: Exactly how did the Army of the Tennessee's engineers get a nearly all volunteer army to dig an impenetrable series of trenches around the Gibraltar of the Confederacy and gradually tighten the noose until starvation doomed the city? Yankee ingenuity? Western can-do attitude? West Point sophistication? Engineering Victory: The Union Siege of Vicksburg emphasizes the Union siege. It's focus is on on the besieged army's efforts to resist encirclement. Justin S. Solonick provides in one chapter on the engineers' art and in a second chapter a discussion of America's other sieges of Yorktown and Vera Cruz and how West Point taught the art of the siege. Eight other chapters are details the siege of Vicksburg. The bibliographic notes, appendix, glossary, maps, illustrations and tables each add to the value of the book. Readers may imagine that reading a book on engineering would be dry, but Solonick focus includes the recollections of the enlisted men and their life in individual rifle pits, lunettes, and behind head logs. Freedoms' Dawn: The Last Days of John Brown in Virginia, Louis DeCaro, Jr., Rowman and Littlefield, Publishing, 450 pp, 18 b/w illustrations, end notes, bibliography, index, $45.00. From the publisher: John Brown’s failed raid on the federal armory in Harper’s Ferry Virginia served as a vital precursor to the Civil War, but its importance to the struggle for justice is free standing and exceptional in the history of the United States. In Freedom's Dawn, Louis DeCaro, Jr., has written the first book devoted exclusively to Brown during the six weeks between his arrest and execution. DeCaro traces his evolution from prisoner to convicted felon, to a prophetic figure, then martyr, and finally the rise of his legacy. In doing so he touches upon major biographical themes in Brown’s story, but also upon antebellum political issues, violence and terrorism, and the themes of political imprisonment and martyrdom. Front Flap: John Brown's failed raid on the Federal arsenal in Harper's Ferry,Virginia, served as a vital precursor to the Civil War, and its importance to the struggle for justice is exceptional in the history of the United States. 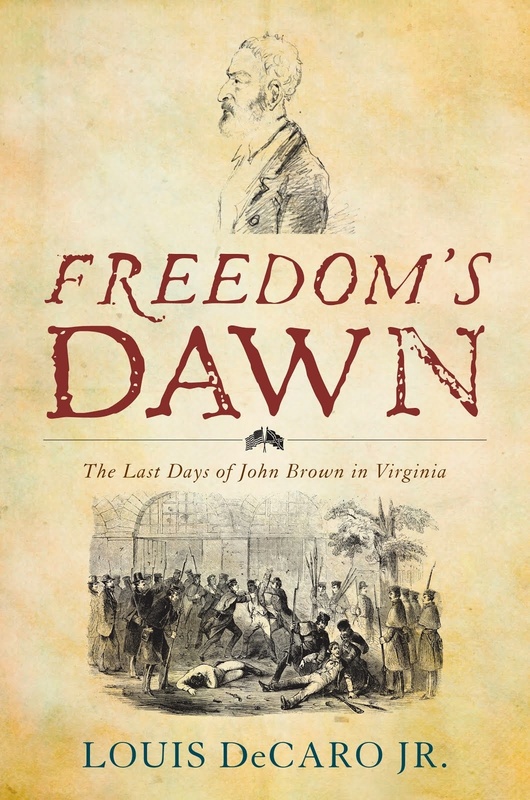 Freedom's Dawn is the first book devoted exclusively to Brown during the six weeks between his arrest and execution. Louis DeCaro Jr. traces Brown's evolution from prisoner to convicted felon, to prophetic figure, and then martyr, finally examining the rise of his legacy. In doing so, DeCaro touches upon major biographical themes in Brown's story, and also upon antebellum political issues, violence and terrorism and the themes of political imprisonment and martyrdom.